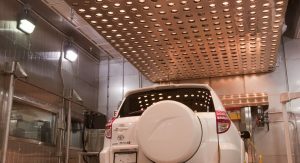 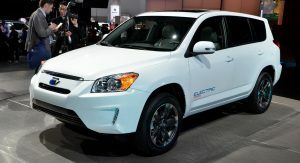 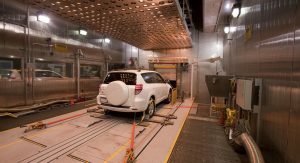 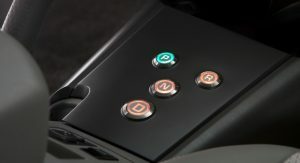 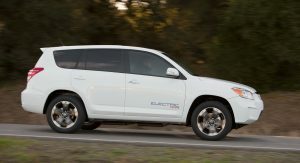 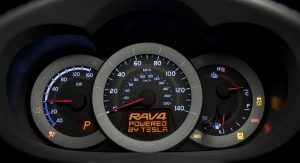 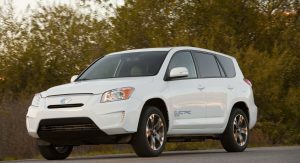 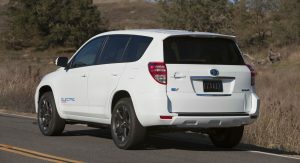 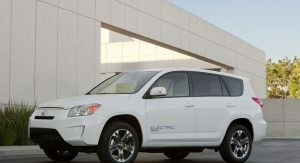 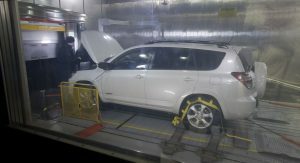 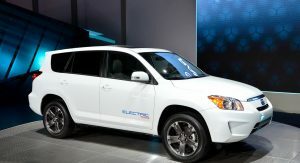 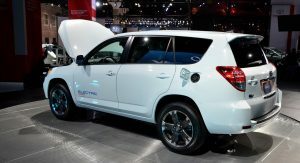 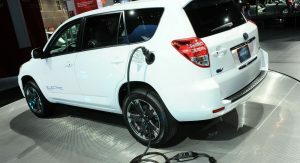 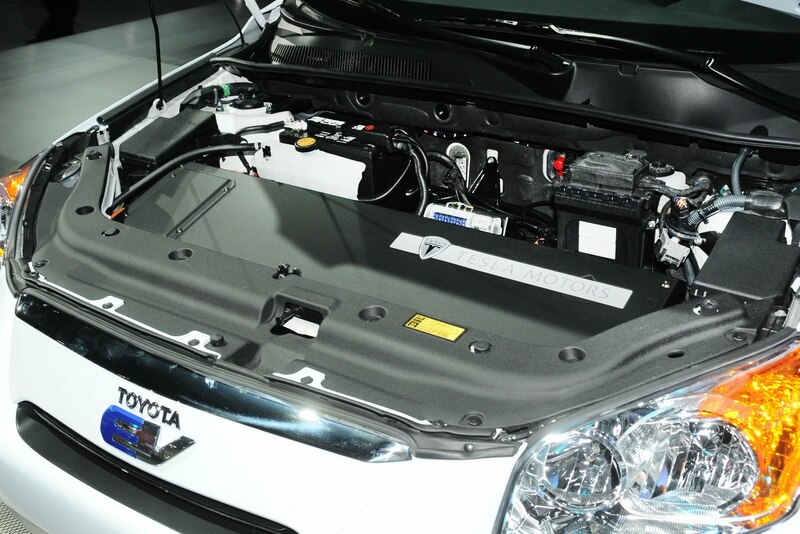 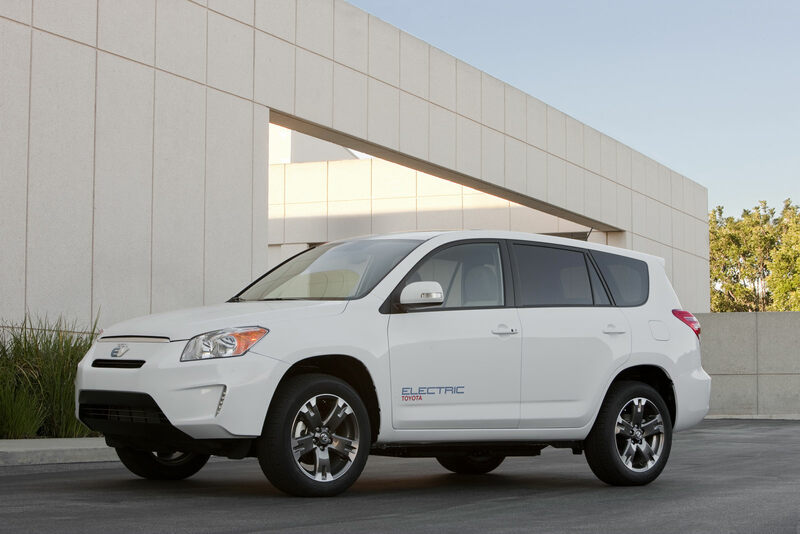 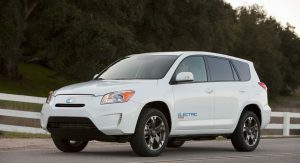 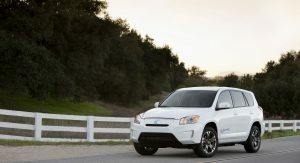 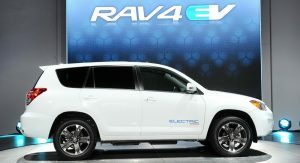 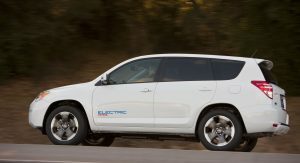 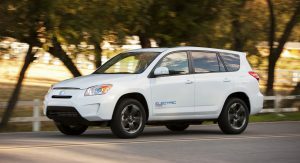 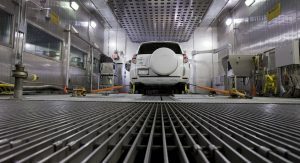 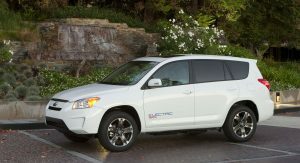 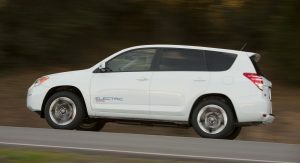 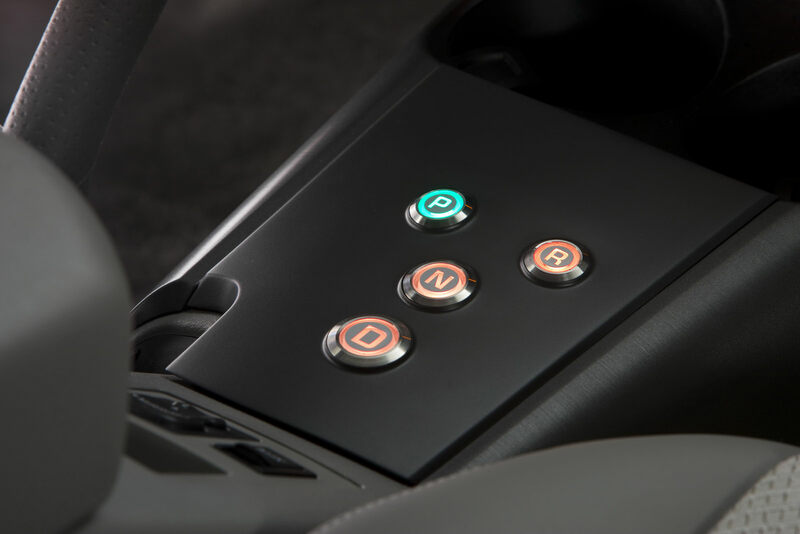 The production version of the pure electric Toyota RAV4 that we first saw in prototype guise at the 2010 Los Angeles Auto Show will make its world premiere at the 26th edition of the International Electric Vehicle Symposium (EVS26), which takes place on Monday, May 7 in the City of Angels, the Japanese automaker announced today. 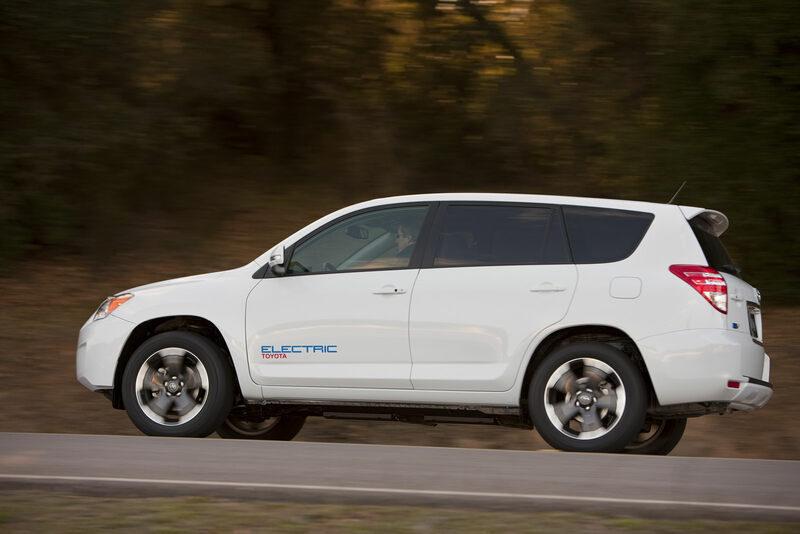 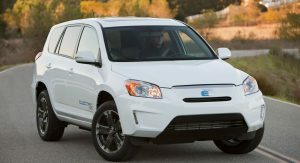 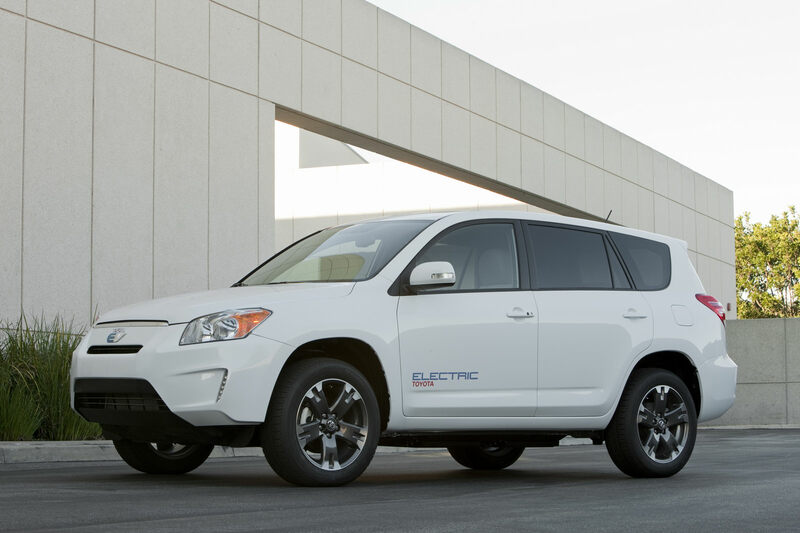 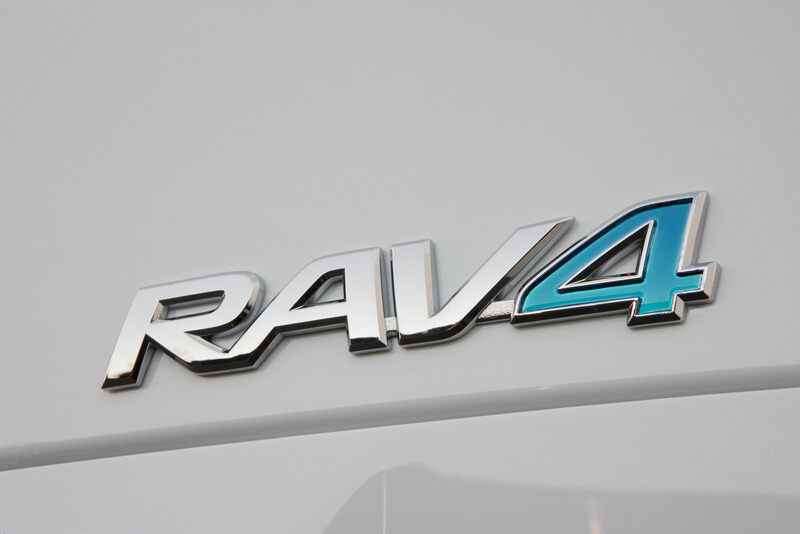 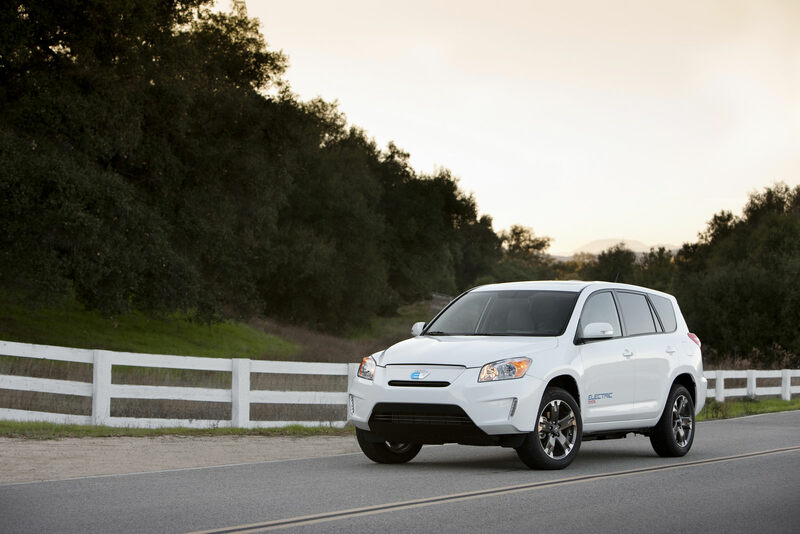 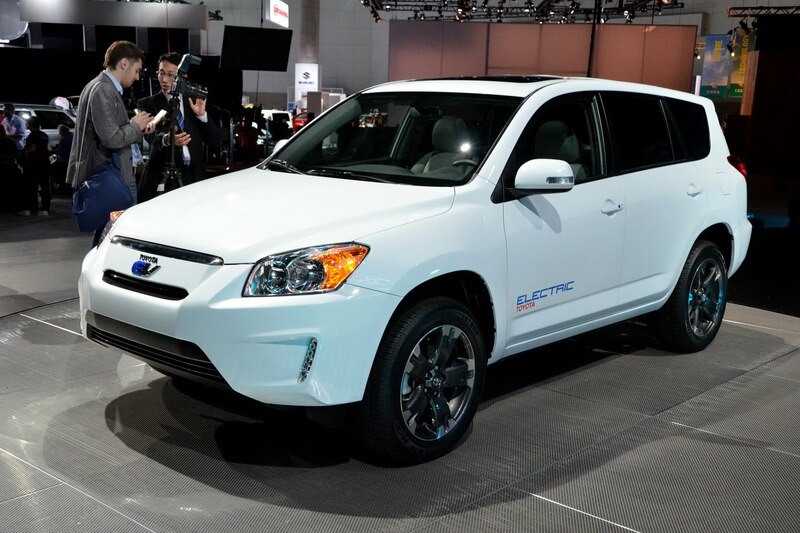 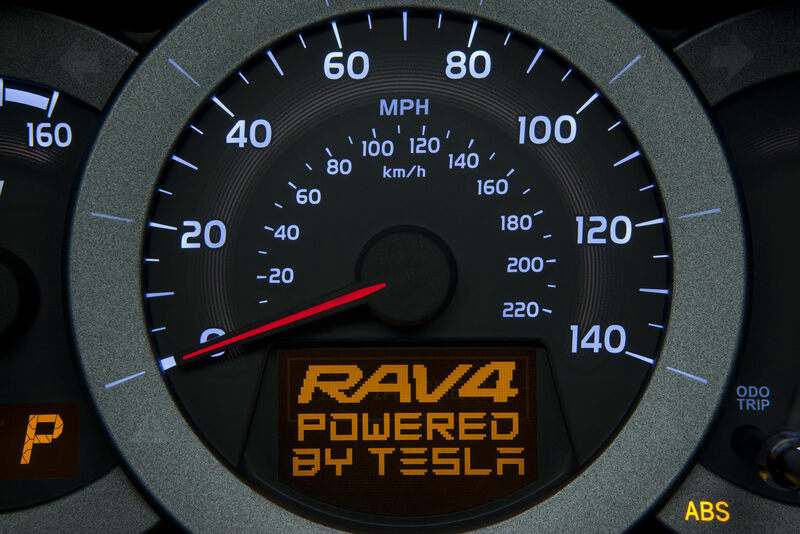 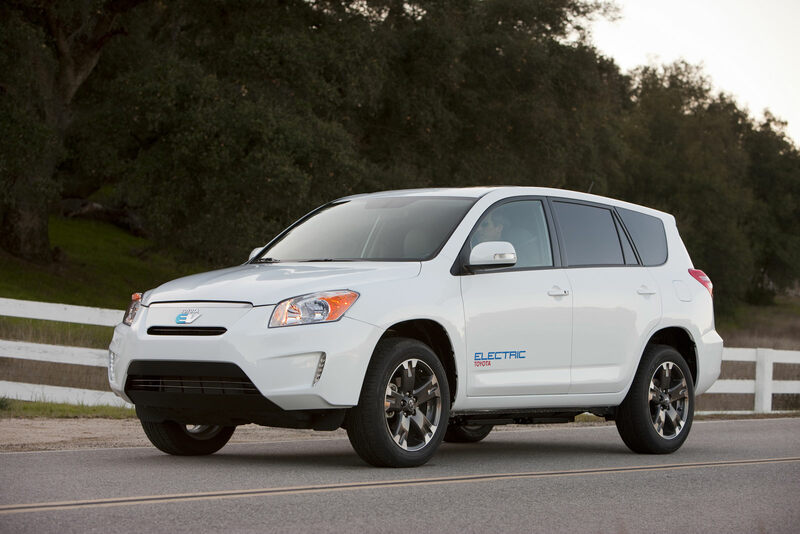 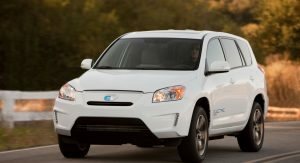 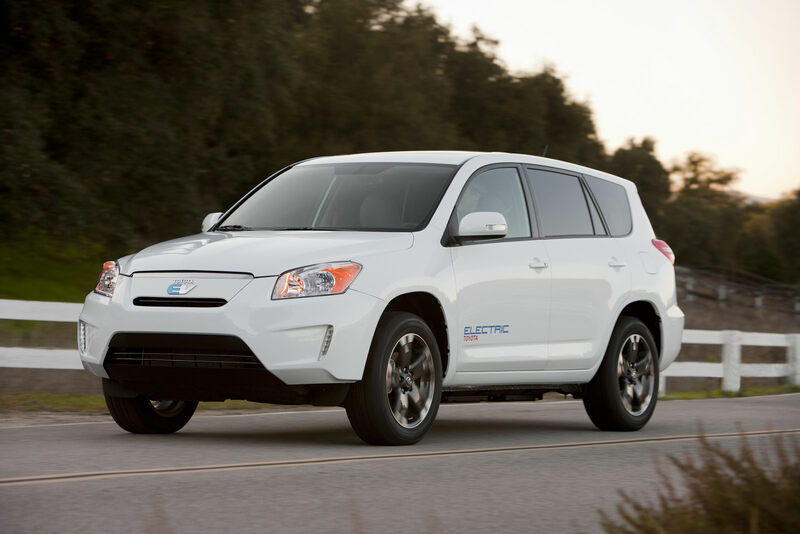 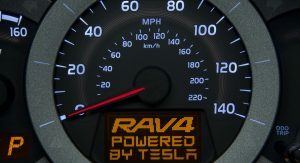 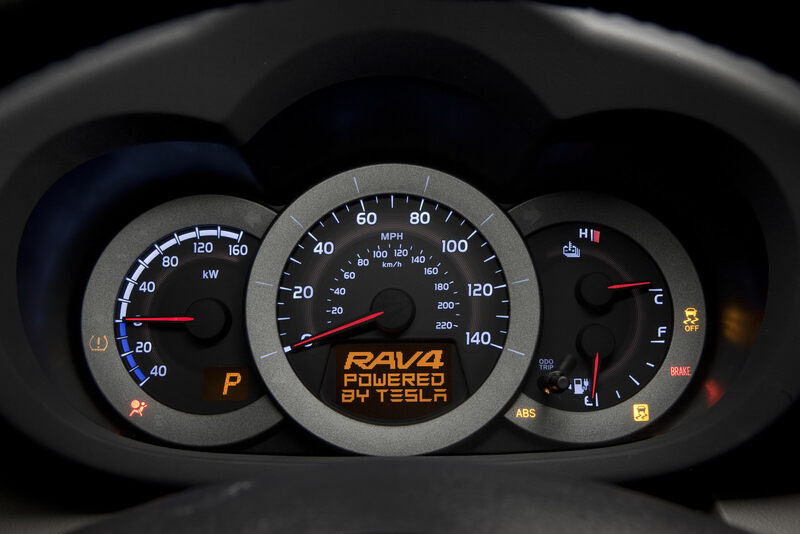 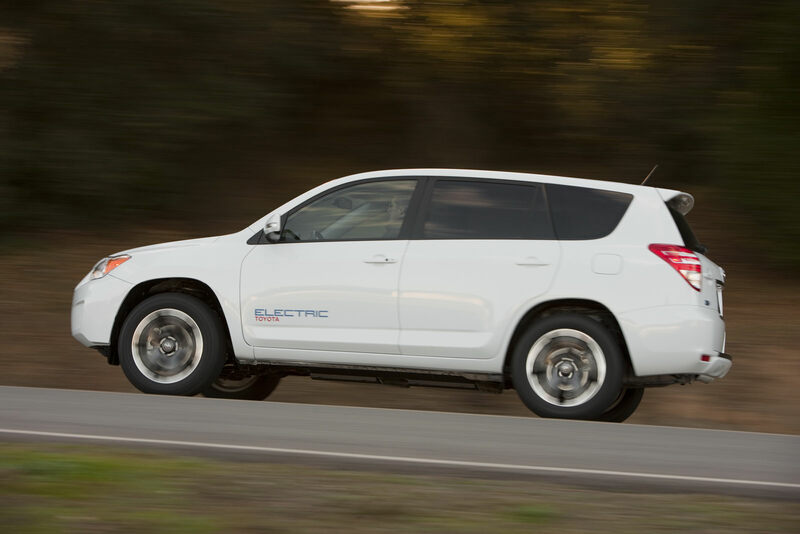 The new RAV4 EV has been developed in cooperation with Tesla that provides the electric driveline including the battery, motor, transmission and power electronics. 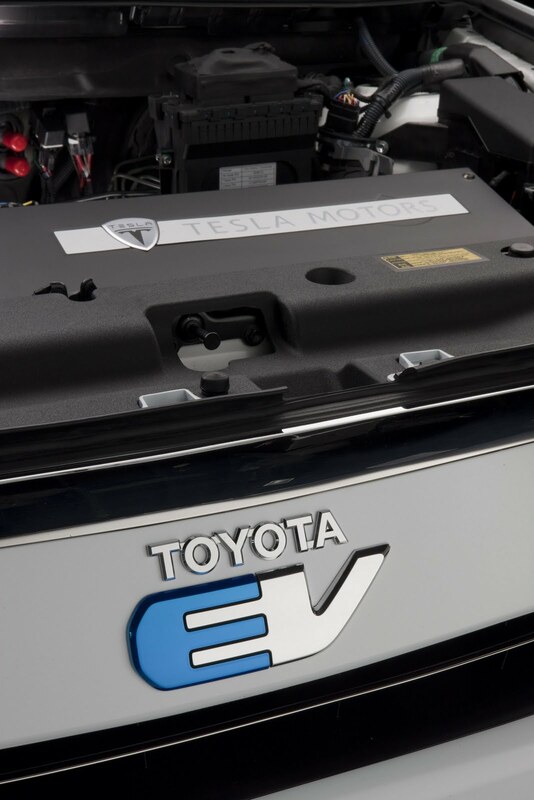 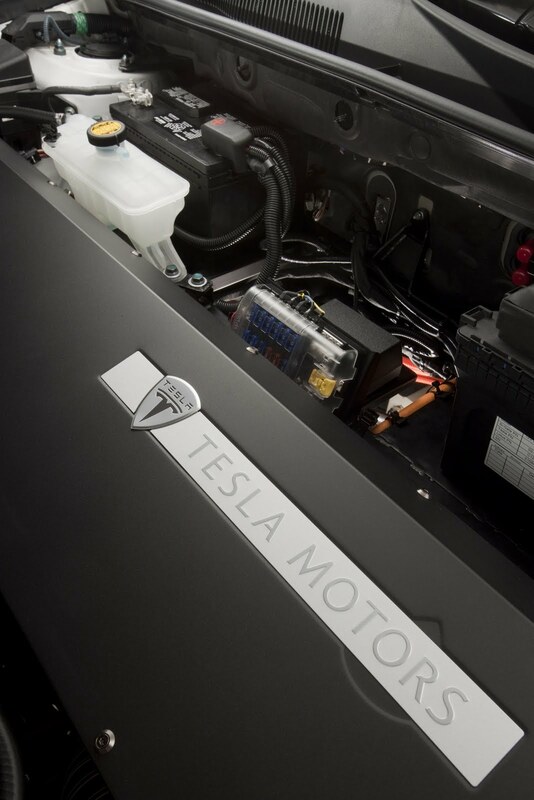 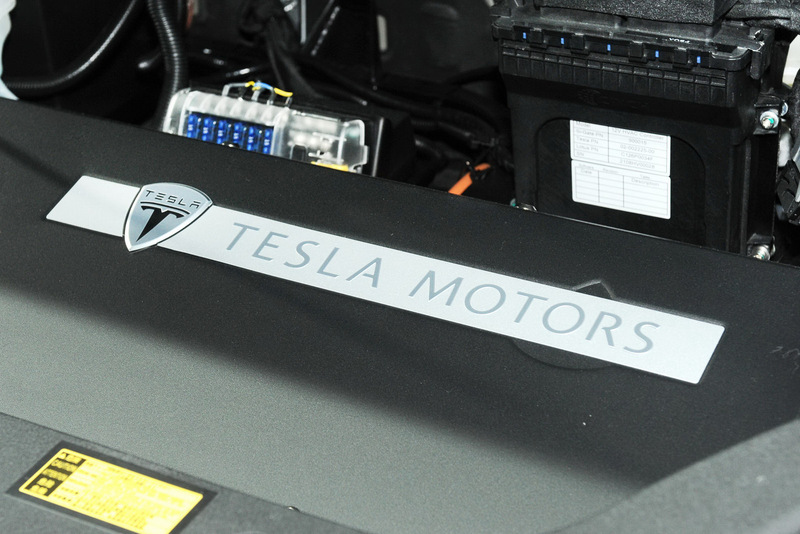 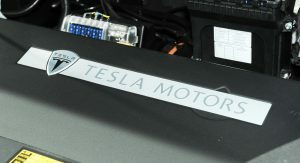 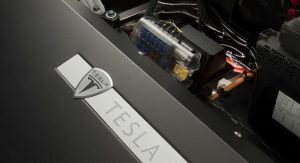 Tesla will build the e-powertrains at its production plant in Palo Alto, California and then ship them to Toyota’s Canadian facility for final assembly into the RAV4. 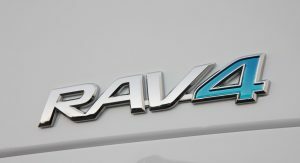 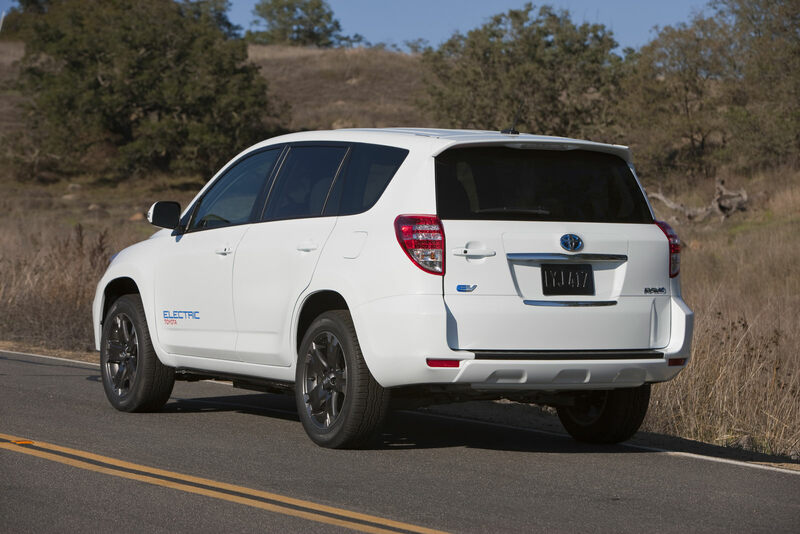 Toyota previously said that the electric version of the RAV4 weighs about 220 lbs more than a comparably equipped V6 model, but keeps similar acceleration figures. 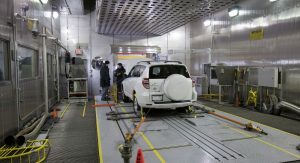 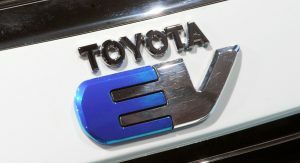 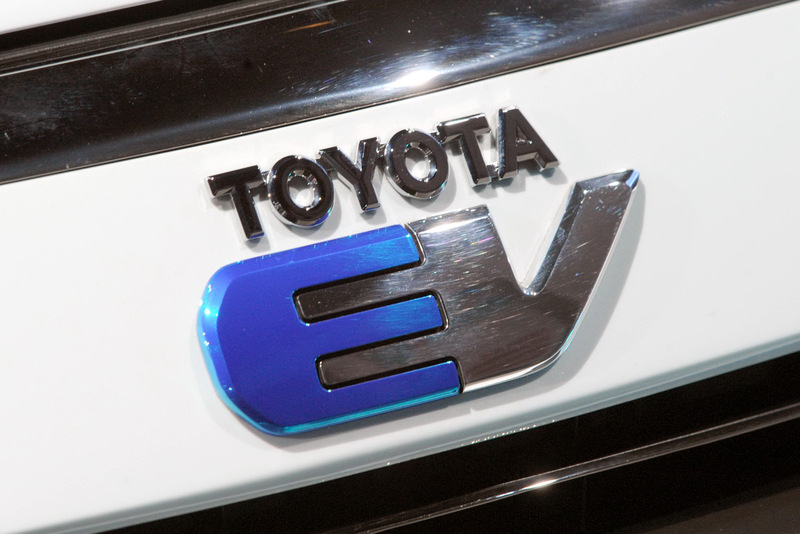 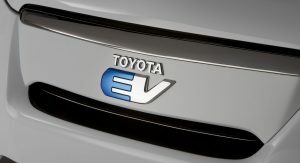 At the EVS26, the Japanese carmaker is expected to announce the final product specifications of the RAV4 EV as well as the markets in which it will launch and possibly even pricing. 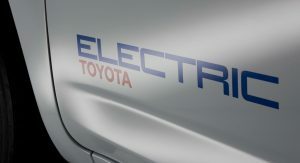 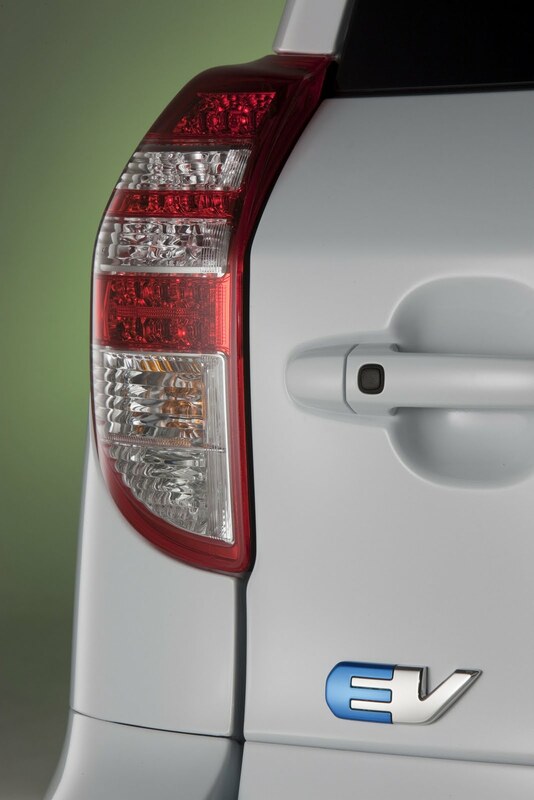 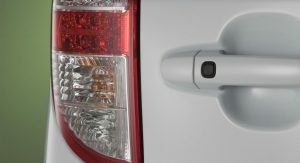 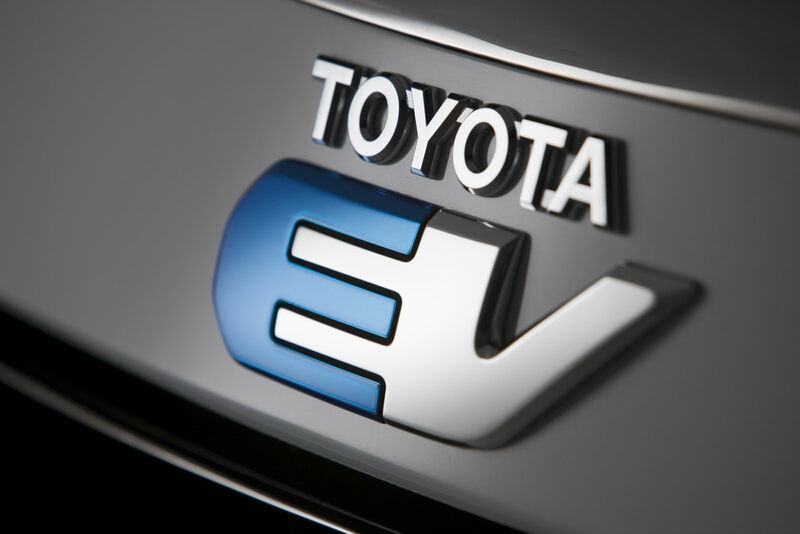 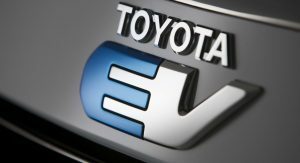 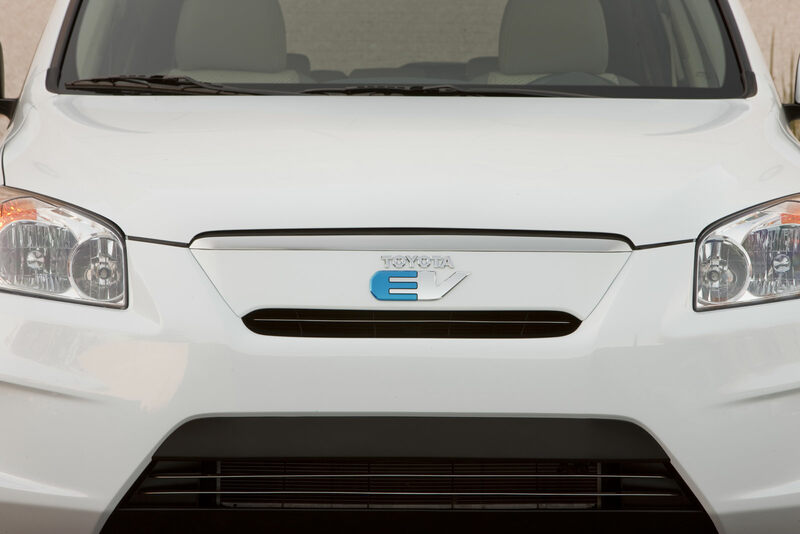 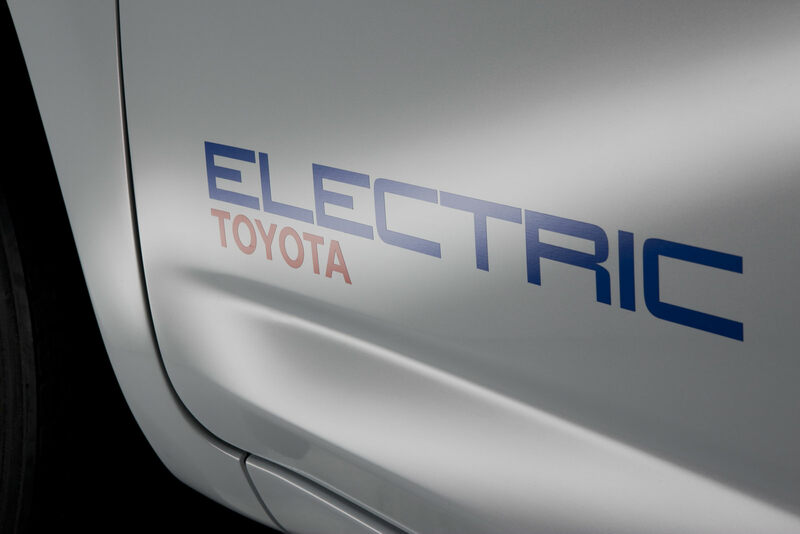 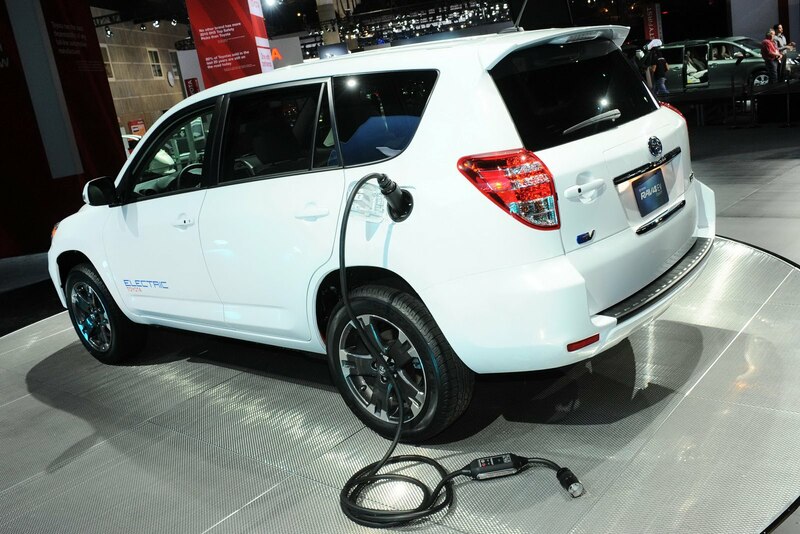 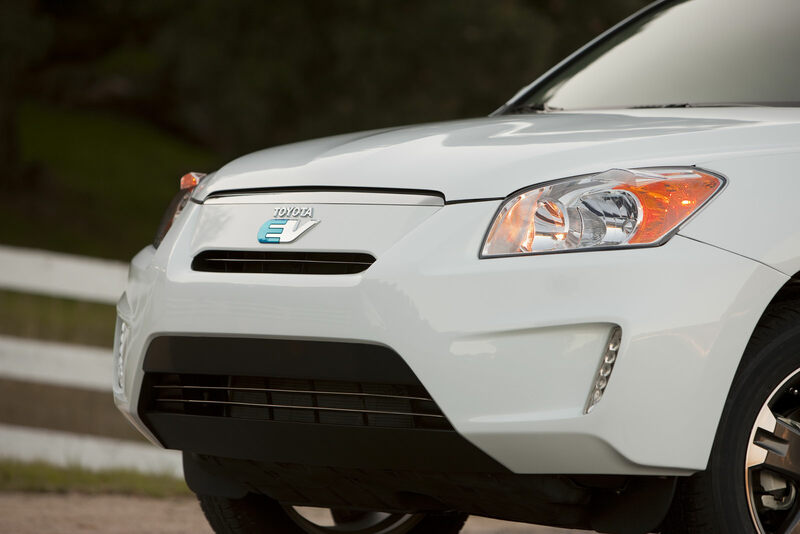 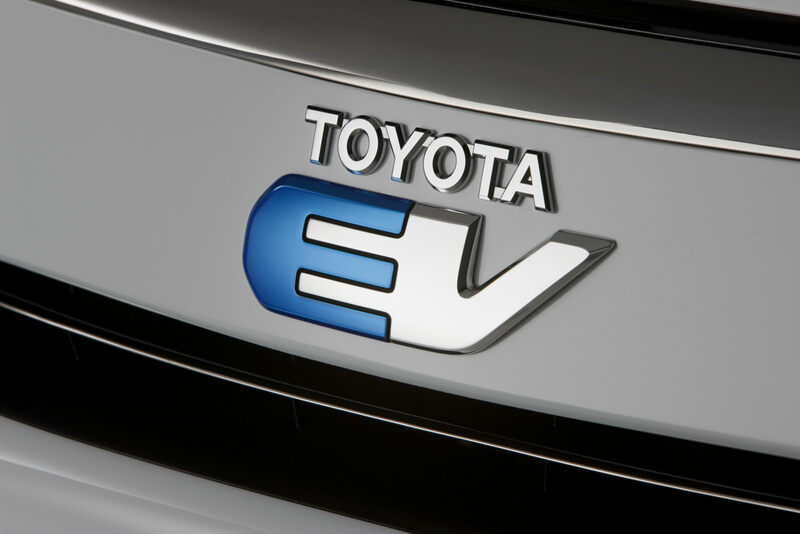 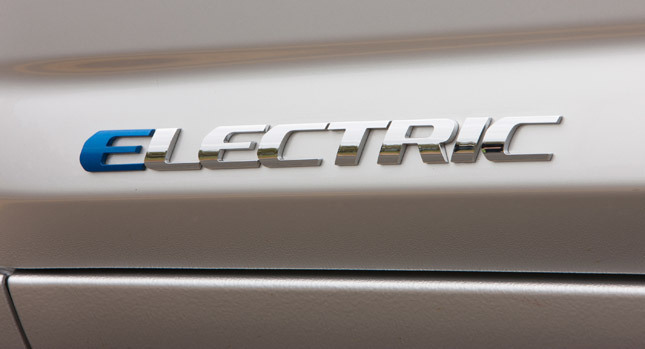 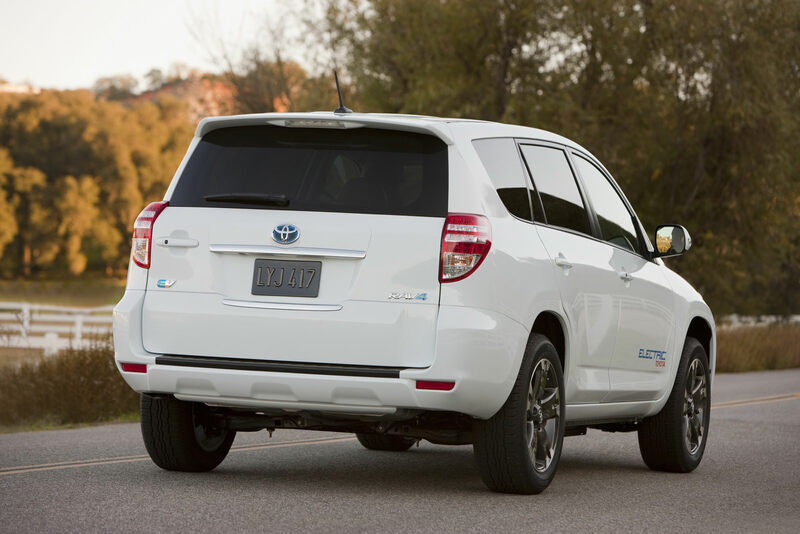 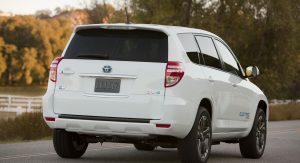 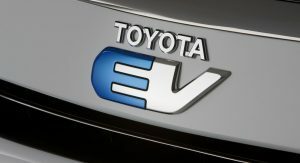 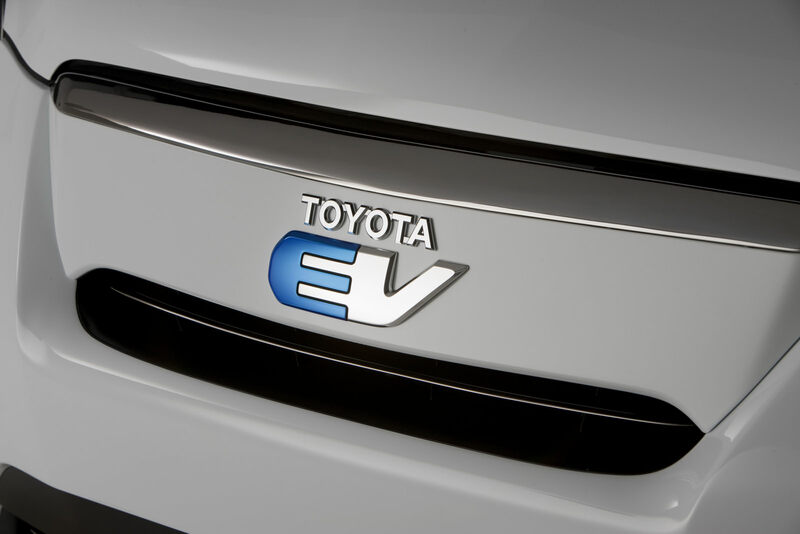 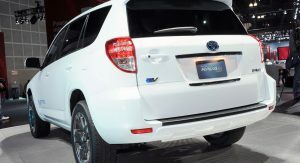 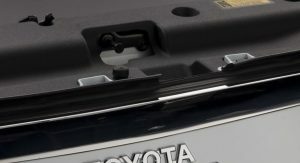 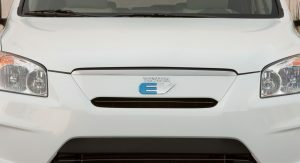 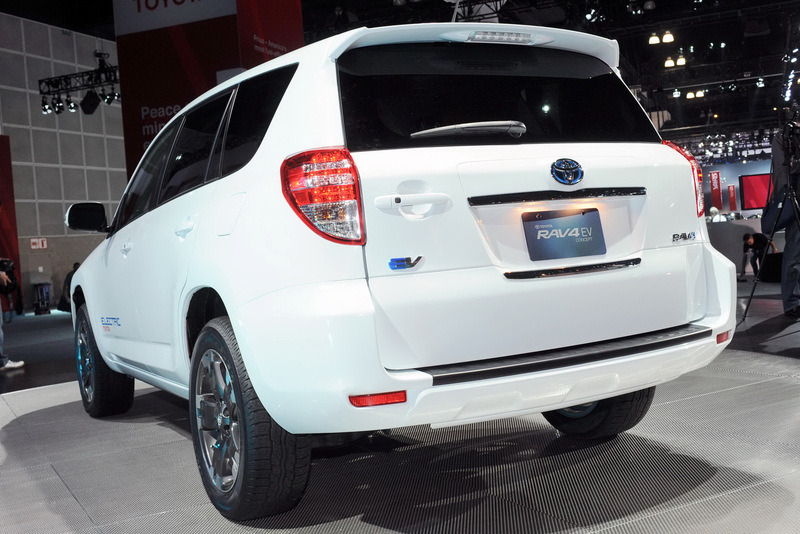 For now, Toyota has provided a cropped image of the production RAV4 EV showing the ‘electric’ badge on the lower part of the front door. 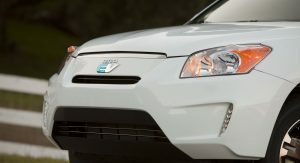 This is not the first production RAV4 EV as Toyota had marketed an electric version of the first generation RAV4 in the U.S. back in 1997. 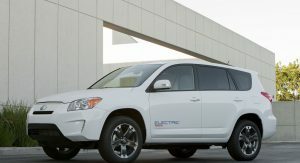 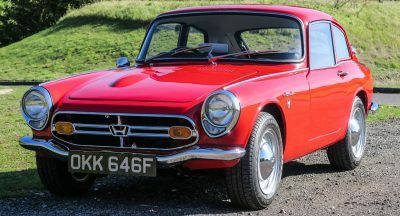 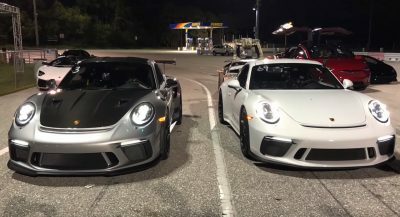 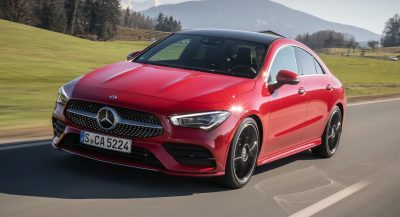 Around 1,500 examples of the electric SUVC were sold and leased in the States with nearly half of those units still in operation today. 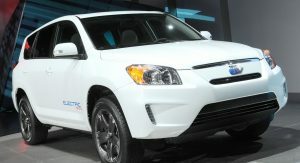 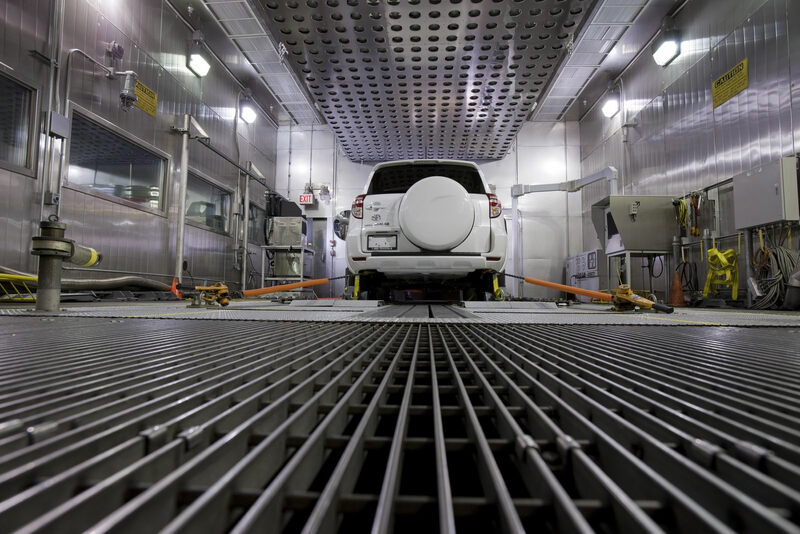 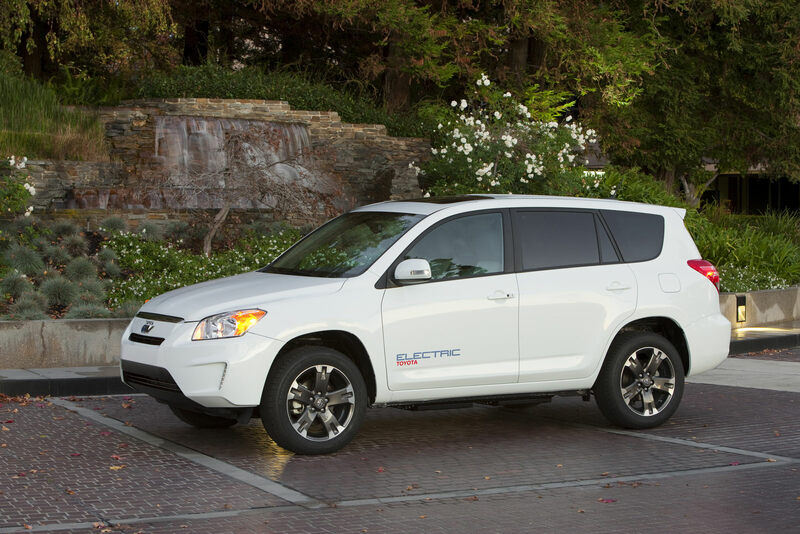 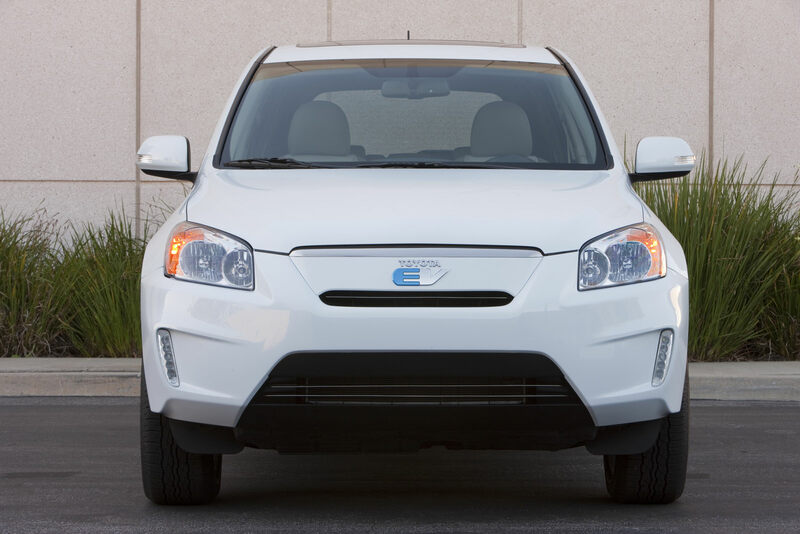 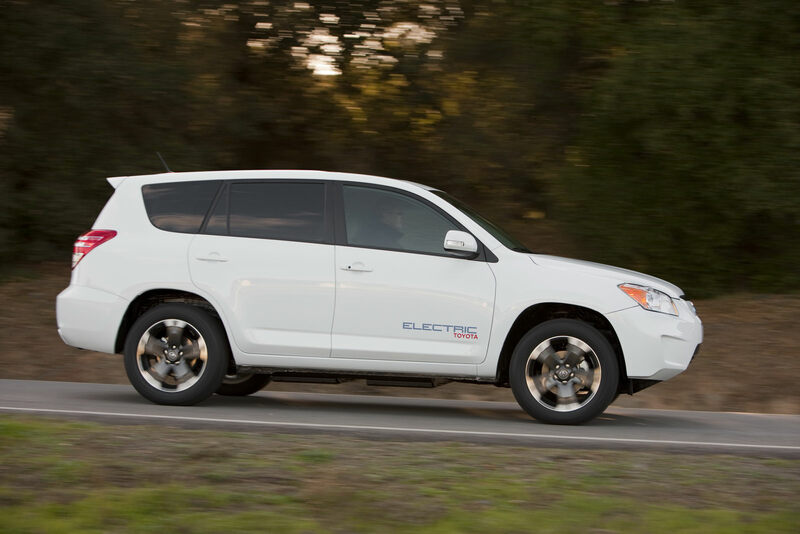 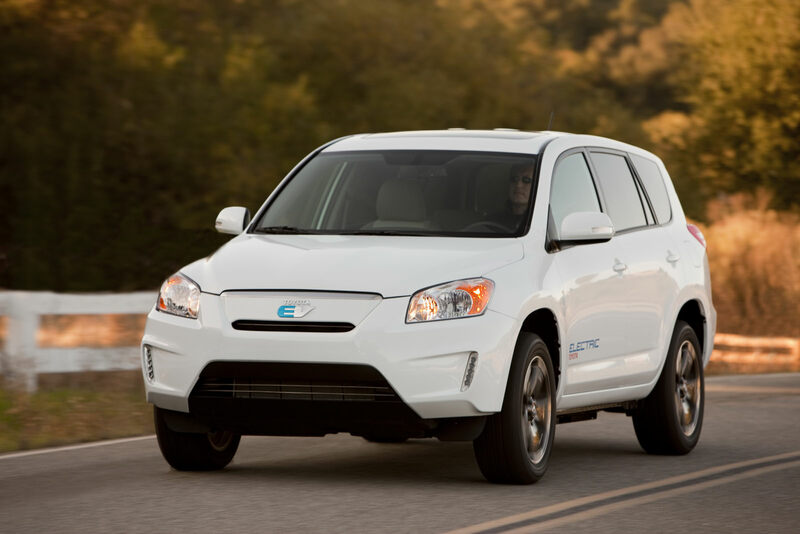 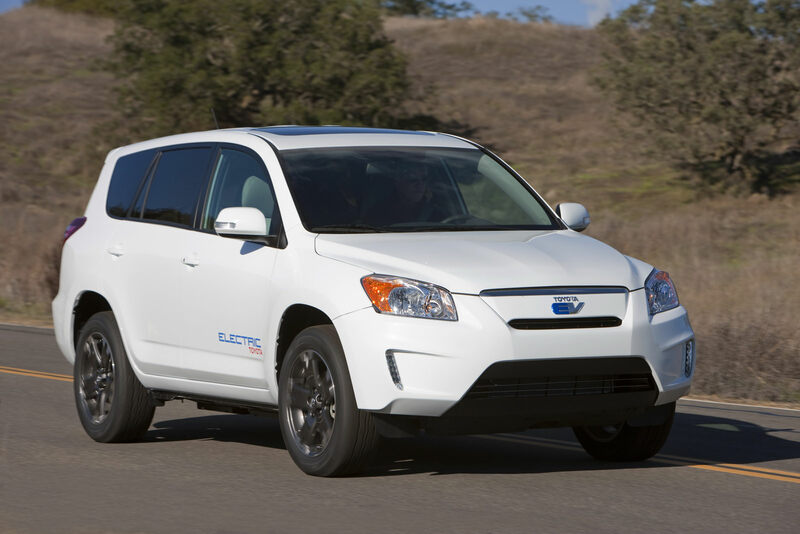 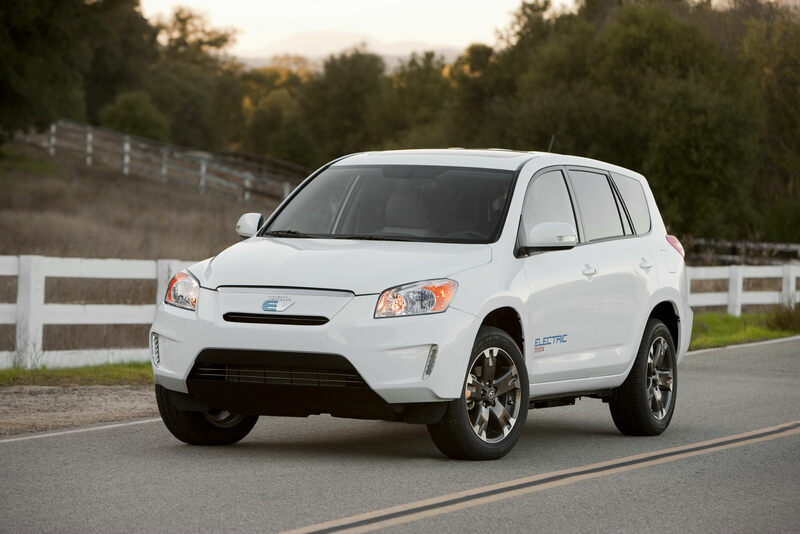 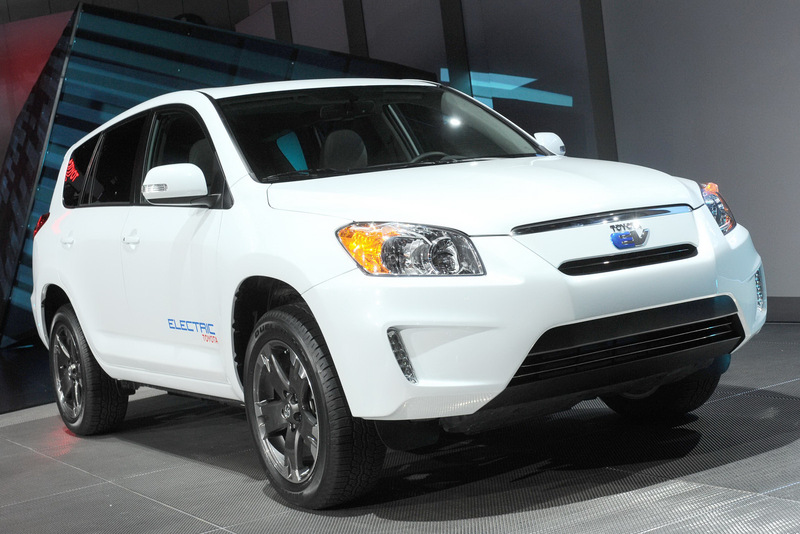 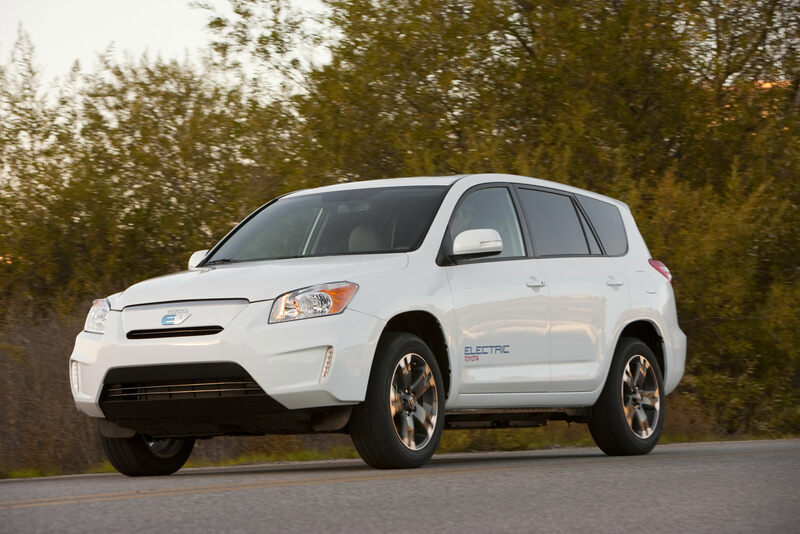 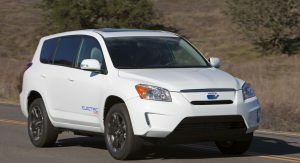 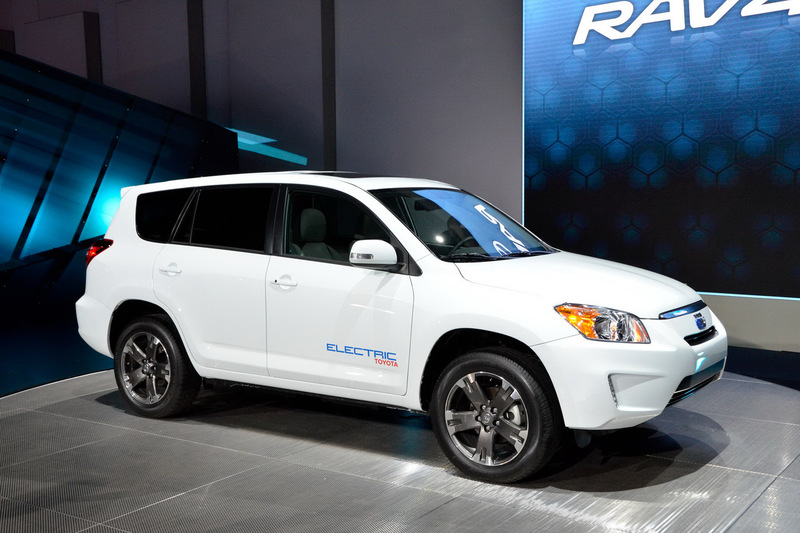 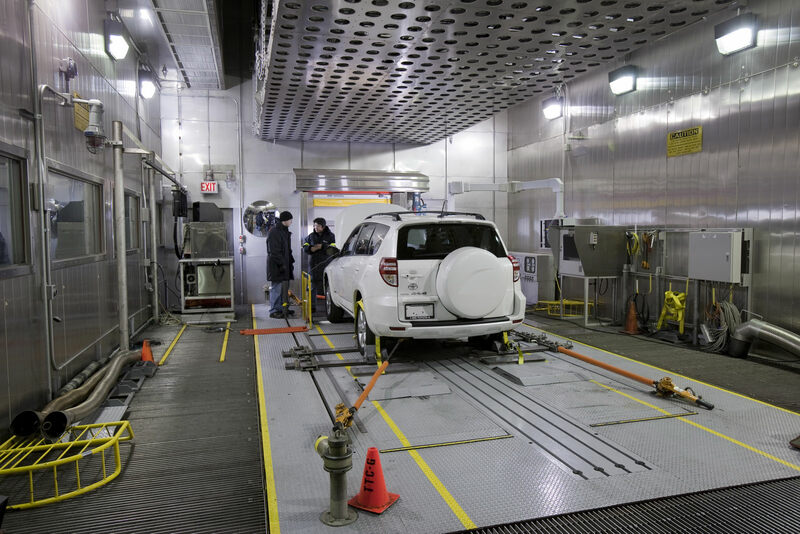 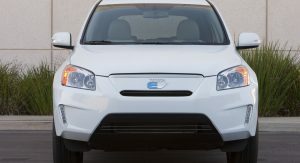 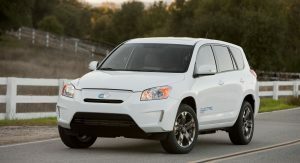 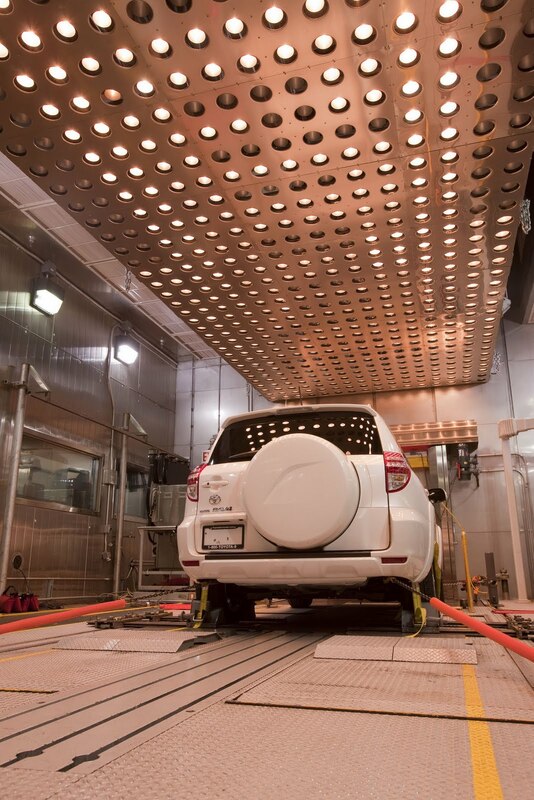 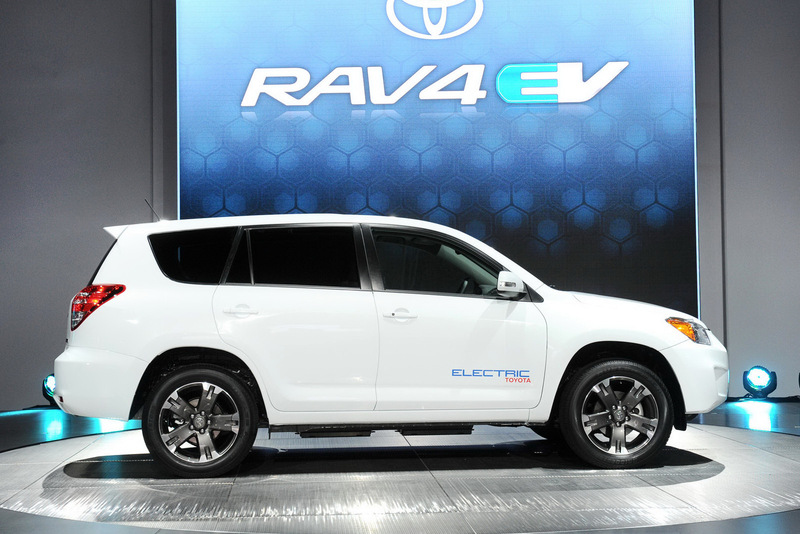 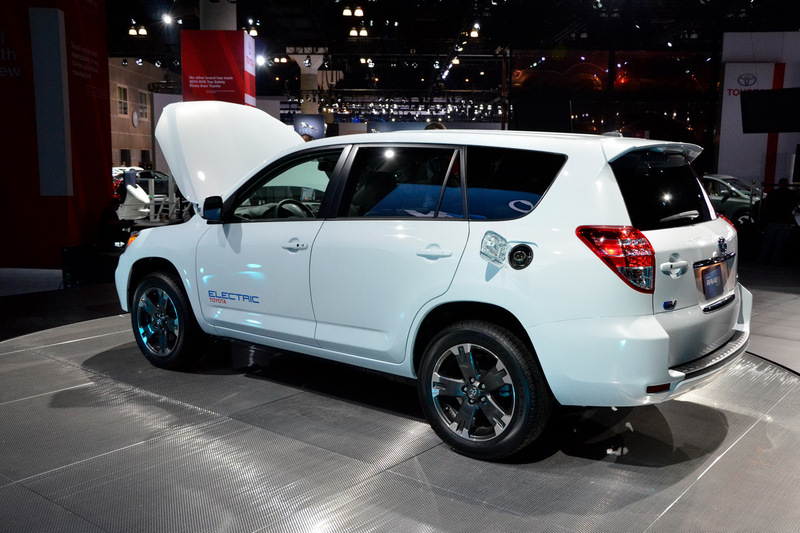 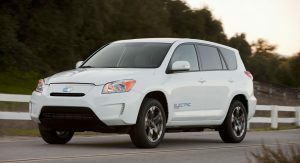 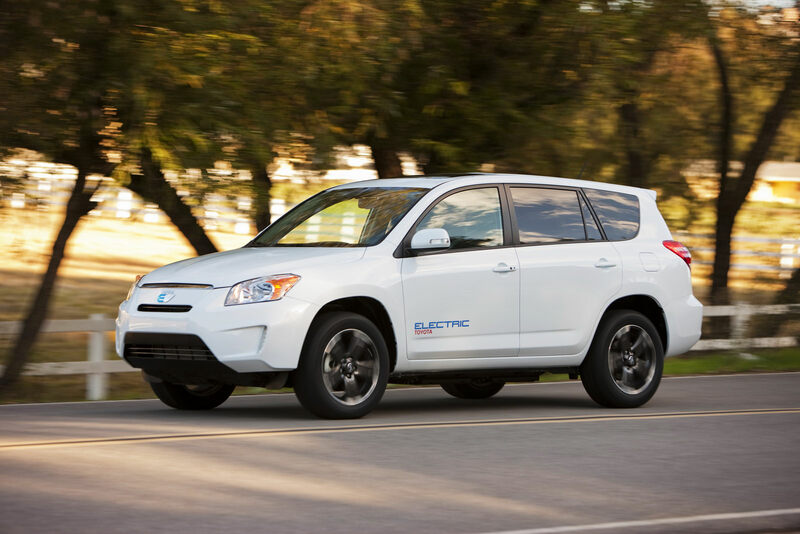 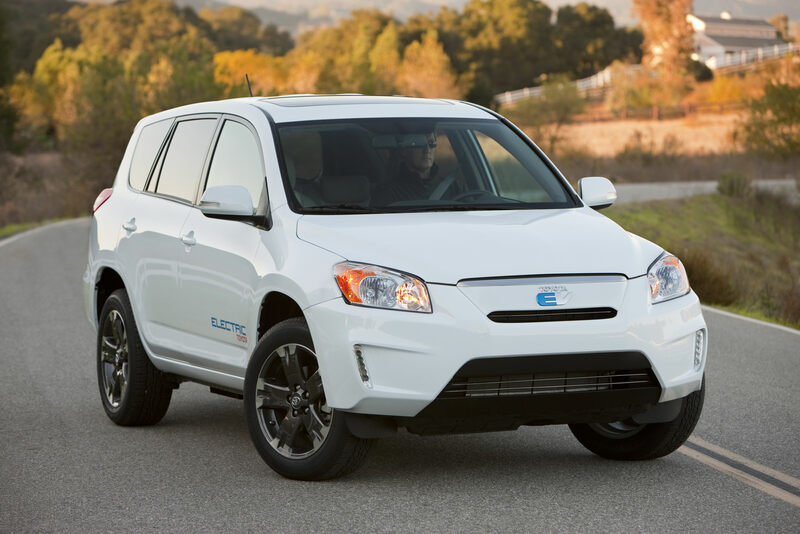 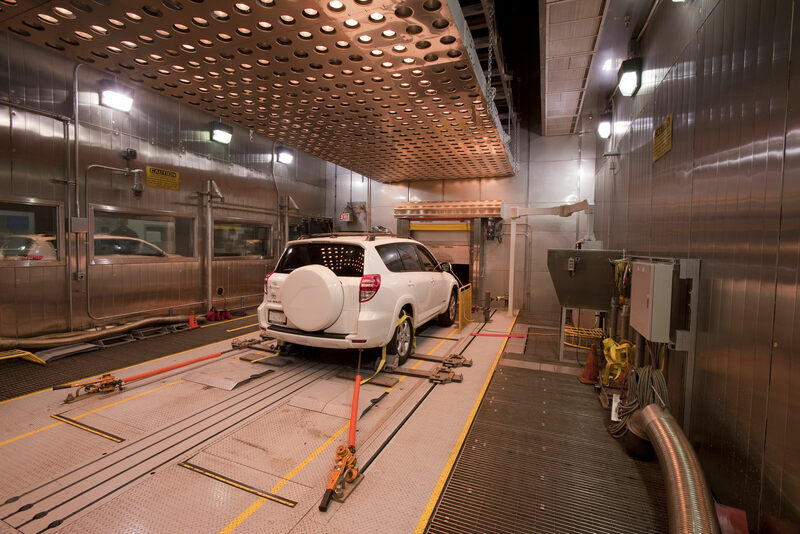 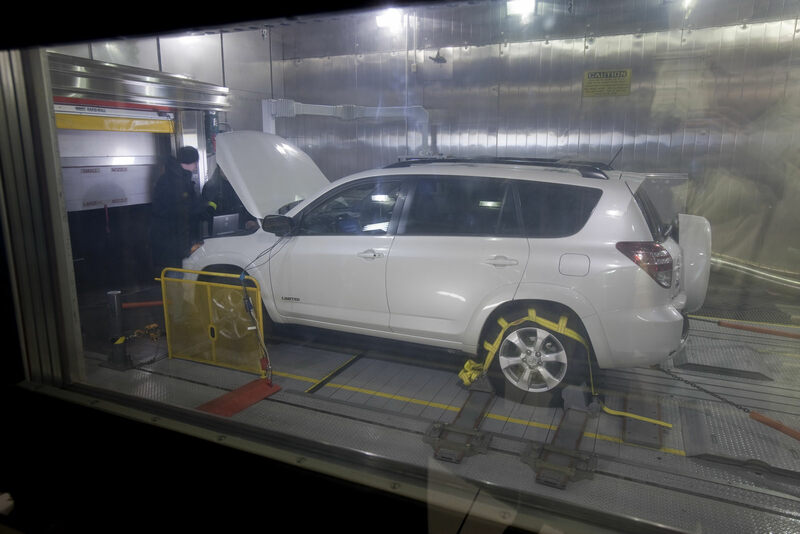 Below you will find a video and a photo gallery of the 2010 Toyota RAV4 EV prototype model.